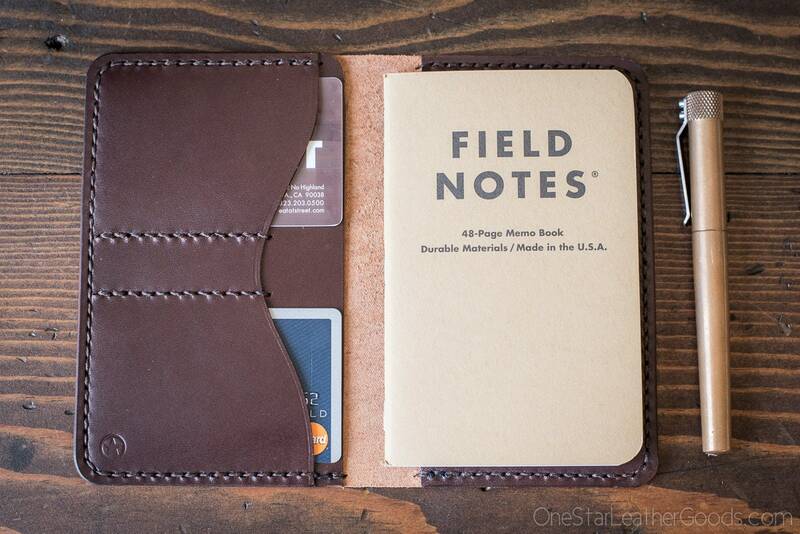 A notebook / wallet combo that takes a Field Notes notebook and all your favorite plastic and bills. NOTEBOOK WALLET, "PARK SLOPER NO PEN"
I'm quite proud of this design. 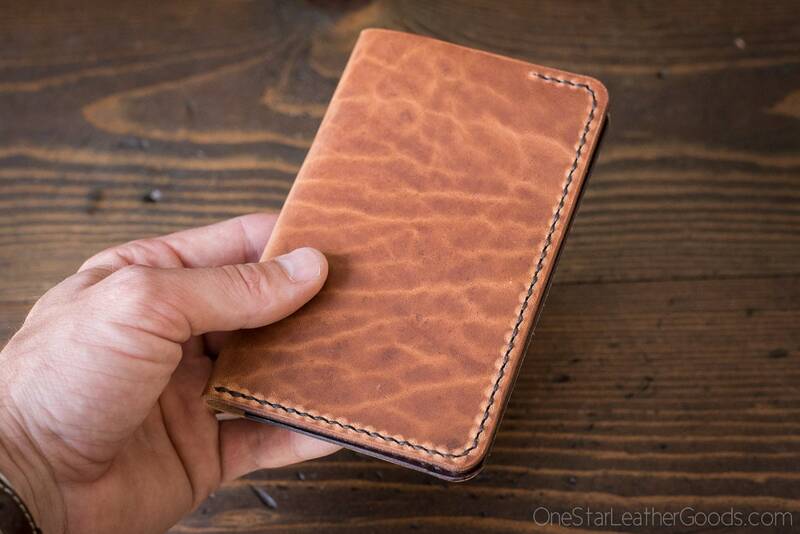 This is a Park Sloper Senior (http://onestarleathergoods.com/products/#/the-park-sloper-walletnotebook/) stripped of its pen sleeve. 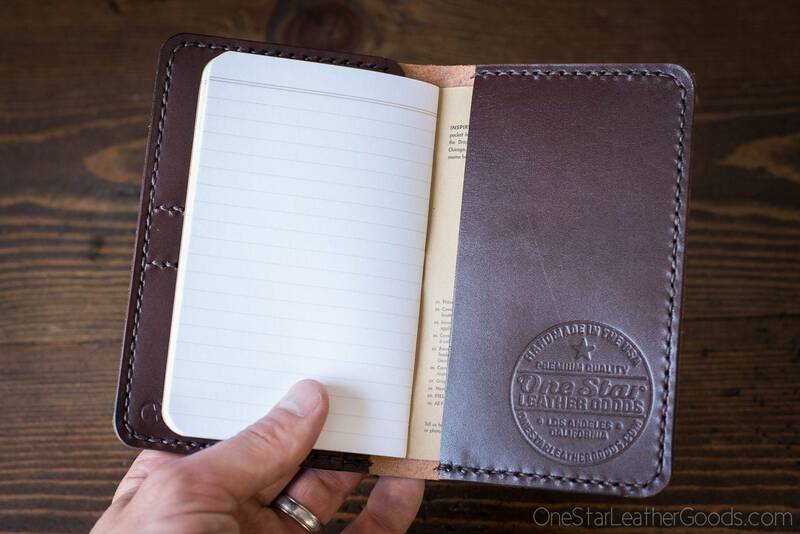 This design fits most 3.5" x 5.5" softcover notebooks and ships with a Field Notes book. Two card slots hold at least 4 credit cards each (maybe more once it breaks in), and behind them is a long pocket that fits folded bills, receipts, etc. The long pocket is partially open at the top, which makes it much more useable that a fully stitched one. You can also tuck bills or business cards or that special someone's phone number behind the notebook. I keep the stitching off the spine, where threads receive the most wear. 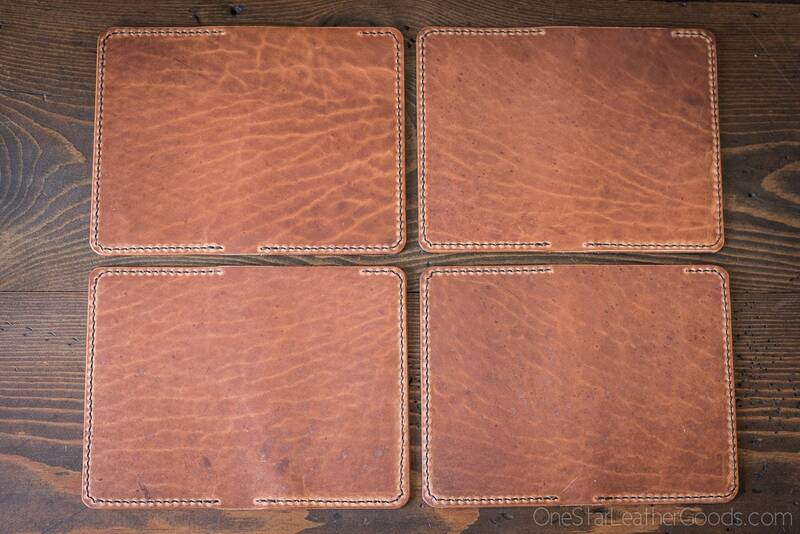 Finely burnished edges and high quality leather means it feels great in your hand and looks great to your eye.